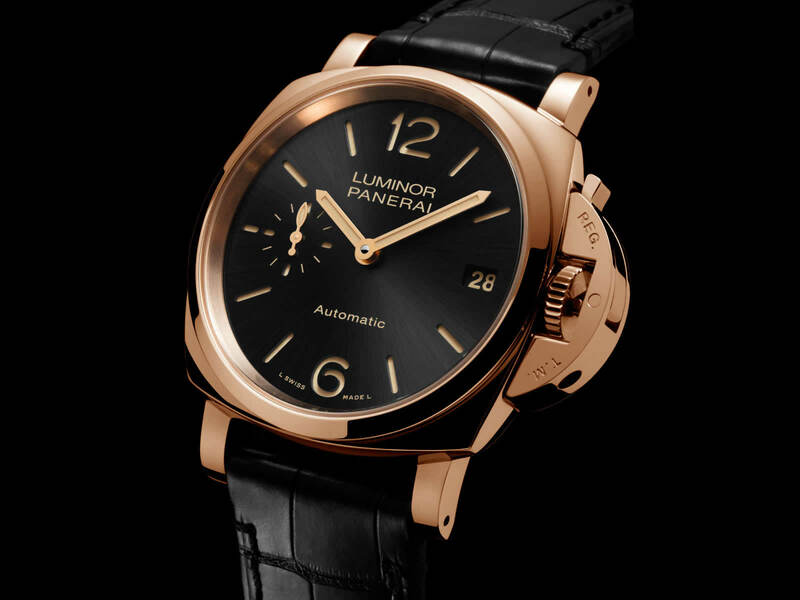 The Panerai SIHH 2018 releases made it very clear that bigger isn’t always better when it comes to case size. 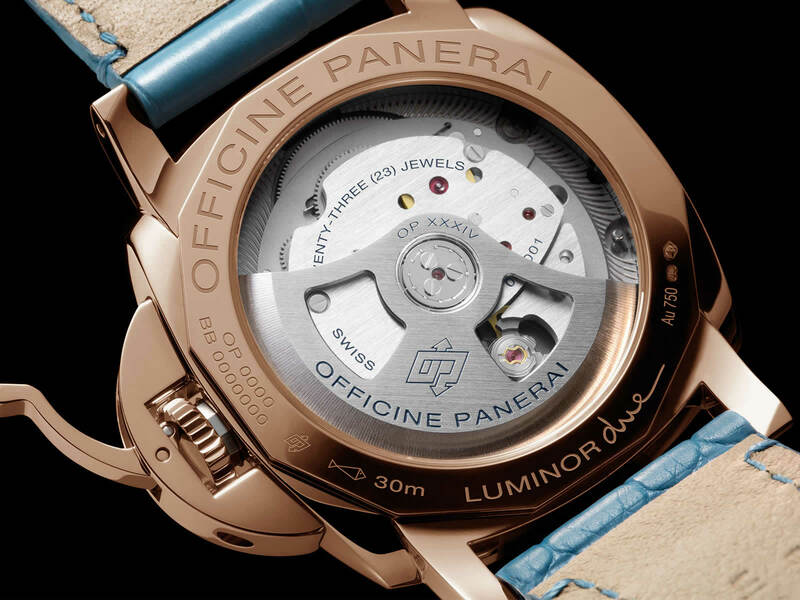 Officine Panerai introduced the smallest watch in their collection with the addition of four 38mm Luminor Due models. They introduced the Due line a few years back and it was initially met with mixed feelings. Over time it is clear by the interaction of the fans and enthusiasts that I talk to, is that they are really starting to like them. 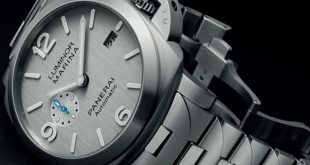 With the new 38mm versions that they released this year it is clear that Panerai is really looking to market and bring a viable option for the fans of the brand who happen to have smaller wrists. 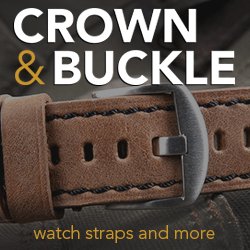 There are a total of four pieces in the 38mm collection, one special edition, one in red gold, and two in steel that actually have a 42mm counter part. First up in the lineup is the PAM755 Luminor Due Steel with a grey sun-brushed dial. 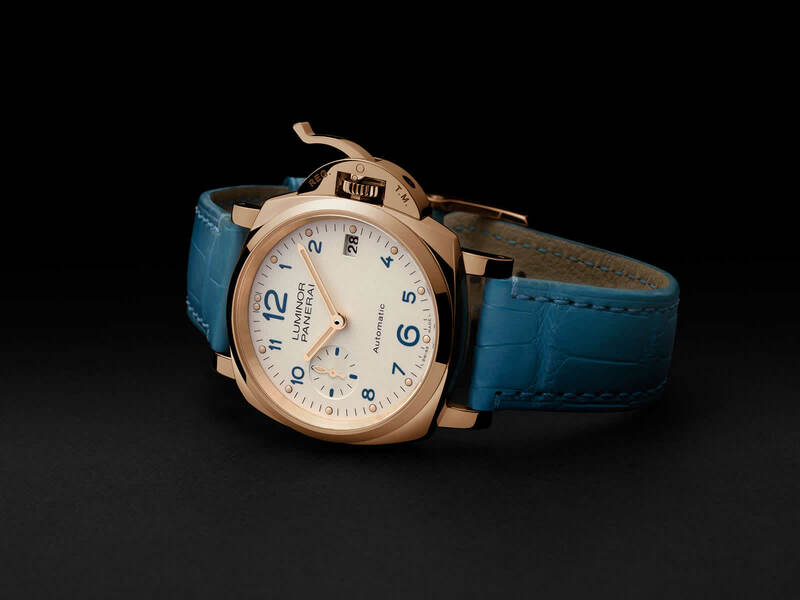 The watch features a date window at the 3 o’clock spot and the sub second dial at the 9 o’clock position. Rounding out the rest of the dial are the iconic batons, 12, and 6 combination. 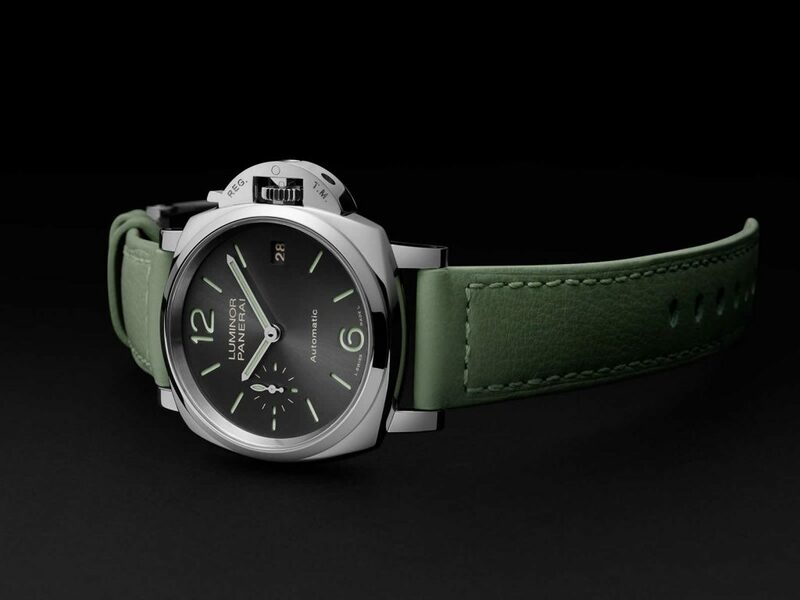 The watch is finished off with a nice green strap that accents the green lume that has become a staple of Officine Panerai. 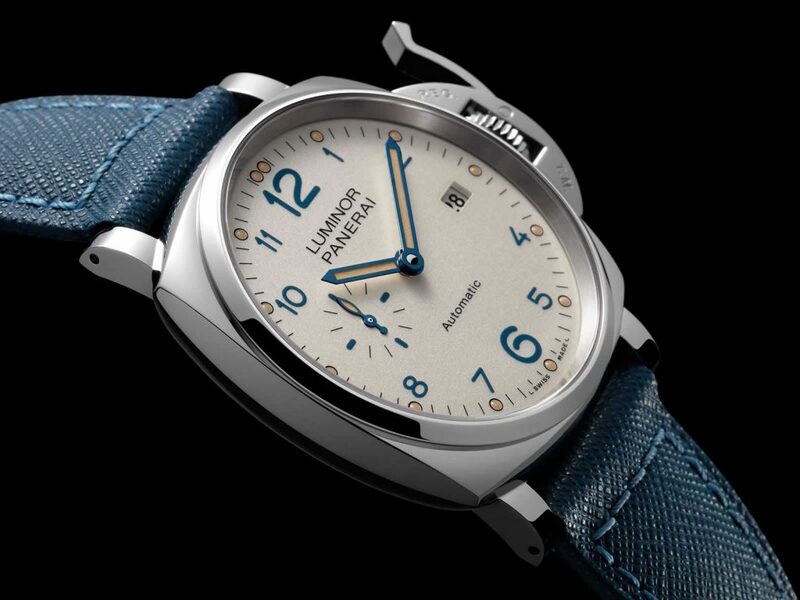 The next is the PAM903 Luminor Due which features a white dial with full Arabic numerals done in the Panerai blue. As with the other models it features the date window as well as sub seconds dial. The hands on the PAM903 are done in the same beautiful blue as the numerals. The lume on this model has a faux vintage look, which even though I’m not the biggest fan of, works very nicely on the white dial versions. 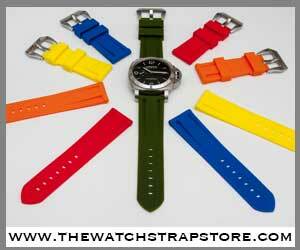 The watch is finished off with one their newest blue straps that has a very interesting texture to it. Next up is one of the 2 red gold models added to the lineup. The PAM756 Luminor Due Oro Rosso features the same white dial combination as seen on the PAM903 with blue numerals and dot indexes in a faux lume finish. The only difference is that the hands as well as the sub second dial hand are done in red gold instead of blue. This model is finished off with a blue alligator strap which is a beautiful compliment to all the blue accents on the watch. This model is the only one in the collection to have a clear case back allowing you to see the movement of the watch. 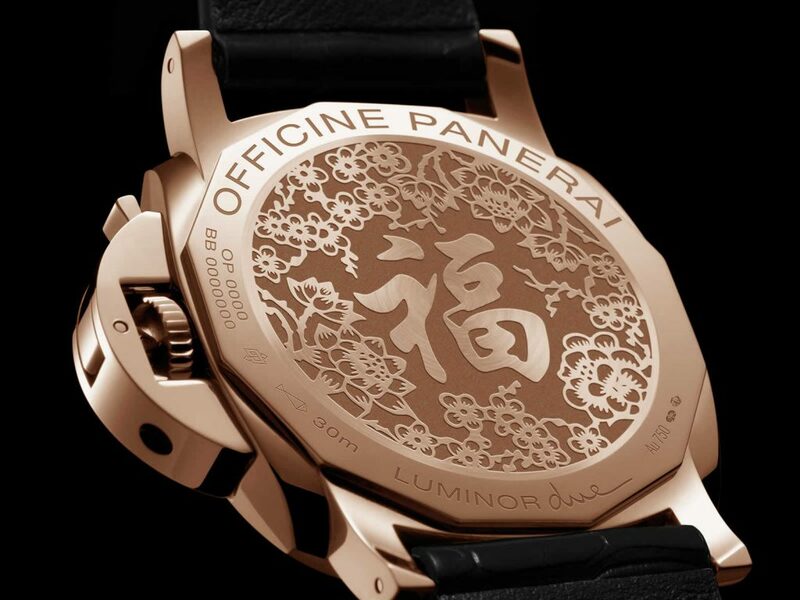 Finally we have the only special edition in the 38mm collection which is the PAM908 Luminor Due Oro Rosso “FU” edition which is limited to only 300 pieces. The “Fu” edition features a black sun-brushed satin soleil sandwich dial, gold hands, and a faux vintage lume. 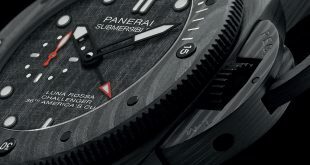 As with the other models there is a date window at the 3 o’clock spot and the sub seconds dial at the 9 o’clock position. Turning the model on the back you will notice a beautiful engraving that features the symbol “Fu” surrounded by Plum flowers and peonies. The symbol “Fu” has evoked good luck, long life, happiness, and prosperity for centuries. The plum flowers express resilience and perseverance while the peonies symbolize wealth. Matching the gorgeous black dial is a black alligator strap with a red gold buckle. All of the pieces in the collection are powered by the OP XXIV calibre automatic movement with a 3 day power reserve. As previously mentioned, the PAM756 is the only model that has a clear sapphire case back where you can see the movement. The rest of the pieces in the 38mm collection feature a solid case back. 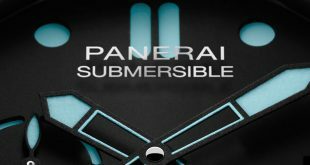 There are a good number of Panerai fans that are not happy with the 30M depth rating for these pieces, but lets be real, how many of us were planning on diving with a more formal style watch? 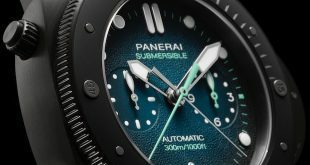 I don’t even know too many people that take their standard Panerai watches in the pool, let alone dive with them. It’s interesting that the one group of watches I thought were not going to be very well received actually became on of the best in the show. 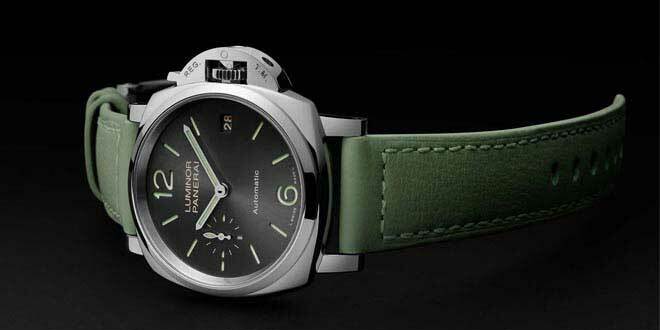 I think there are a lot of people who have been waiting for a more reasonable sized Panerai before they added one to their collection. Does it completely equal the definition of Panerai DNA? Maybe not. But that doesn’t mean that they can’t evolve and bring a model that will bring new customers what they are looking for. 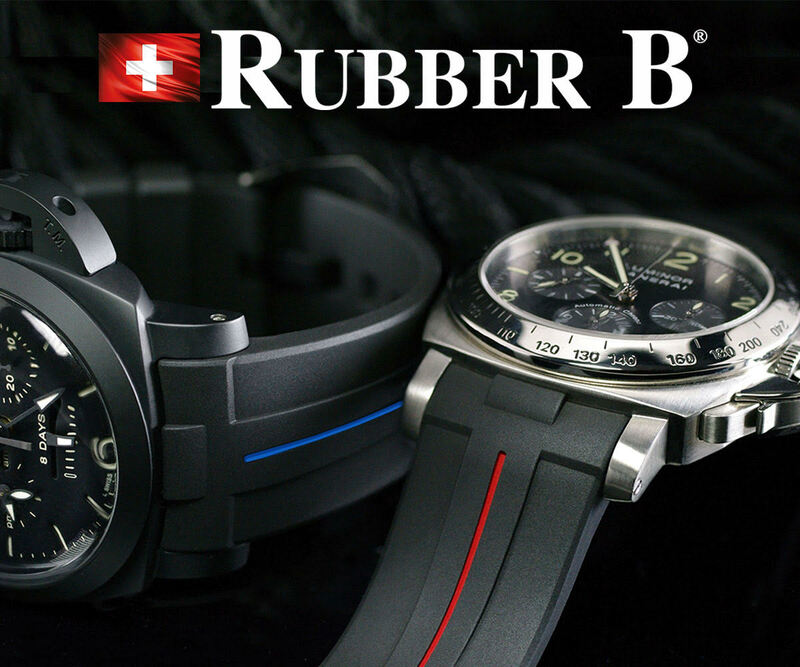 I am not a person that will be looking to purchase one of these for my collection, but I can appreciate the brand looking beyond making large watches to tap into new markets.